From luxe quality promotional material in small quantities to economical long runs. Whatever the quantity, we can print, finish and incorporate personalisation. Ultra professional, eye-catching point of sale, printed and finished to perfection. Showstopping, vibrant signage for retail spaces, events and trade fairs. Tailor-made signage and display systems to highlight and promote your business. Large format print with litho quality. Weatherproof, backlit posters & hoardings. 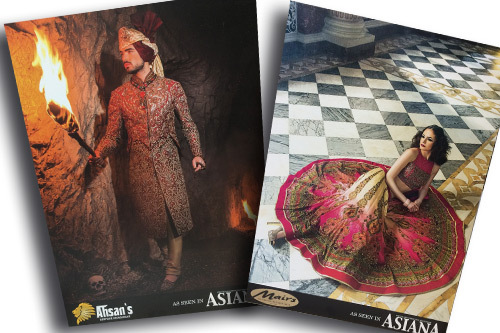 Unrivalled quality print on a huge variety of substrates & materials. Competitively priced wallcovering for the most impactful interior spaces. Bespoke, quality graphic elements for trade shows, photography or art exhibitions. Our customer-friendly process means you can rest assured that we'll always advise on the best print solutions and will always endeavour to meet the tightest turnaround times. Why not give us a call on 02380 266752 for a comparative quote and find out why we're the best option? Quayline Digital is based in Chandler's Ford, just outside Southampton and close to the M27. All of our print machinery, finishing equipment and a wide range of paper stocks are in-house which means we're able to process and print every job as quickly and efficiently as possible. As we use industry leading technology and have a comprehensive collection of different printers, from a quick-fire Indigo digital print press which offers litho quality, to our giant sized Vutek and HP Latex machines for large format printing, we can ensure we use the best printing tool for the job and that we offer complete consistency across all your printed elements.